Technology is moving at the speed of light, and we love our fancyschmancy newfangled gadgets. But sometimes it's fun to bathe in the glow of a simpler time. Give your iPhone a warm, cozy feel by snuggling it into one of these retro-yet-functional hard-shell cases. 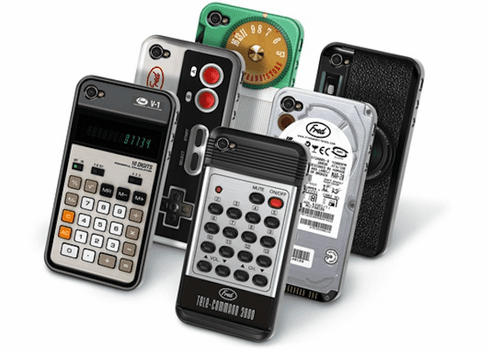 Choose from an old-school camera, a totally obsolete game controller, a nerd-approved calculator, a stylish boomerang-era transistor radio, dad's remotre control, or nekkid hard disk. Fits iPhone 4 or 5. Price is per case. Styles subject to availability.